The "Rustic" model is woven with unstripped bamboo creating a natural unbleached appearance and an unsophisticated charm. 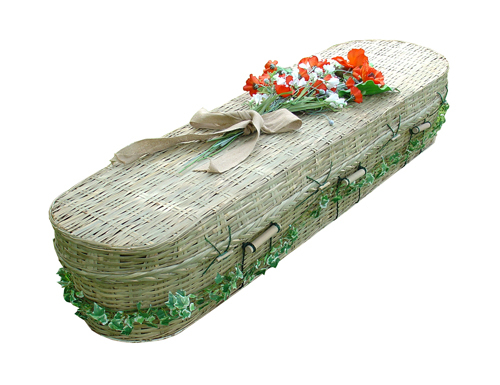 Each coffin has flower rings to facilitate and flower arrangements. Sizes: 5'6" x 20", 5'8" x 20", 5'10" x 20", 6'0 x 20", 6'2" x 20" and 6'2" x 23, 6'4" x 23" all with a depth of 13". Biodegradable poly liners, Calico liners, Ply bases and Plates available to buy separately - see below to order the products you require. Infant and child sizes available - contact us for more details. 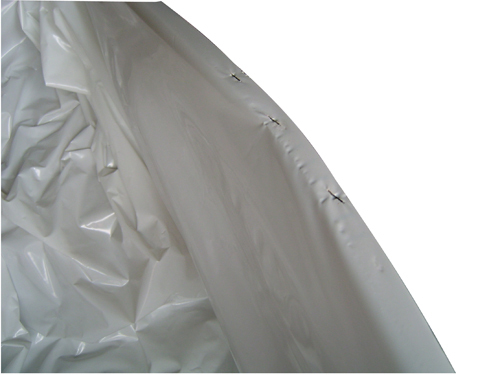 White, totally waterproof biodegradable poly liner for use with Type 1 Brown Willow, Type 1 White Willow, Seagrass and Bamboo coffins. 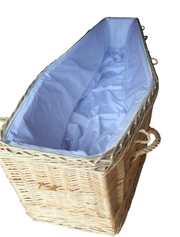 A soft cotton/calico material manufactured into a coffin overliner with frill for Type 1 Brown Willow, Type 1 White Willow, Bamboo and Seagrass coffins. 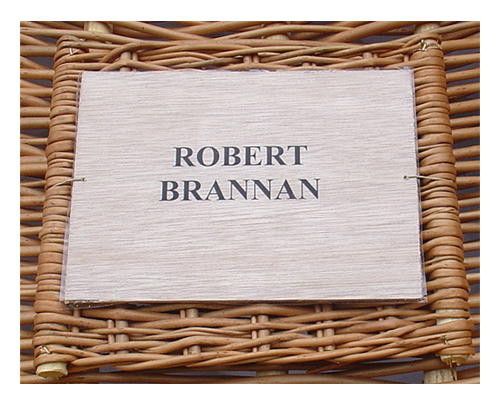 Ply nameplate for use with Brown Willow - Type 1, White Willow - Type 1, Seagrass and Bamboo coffins. 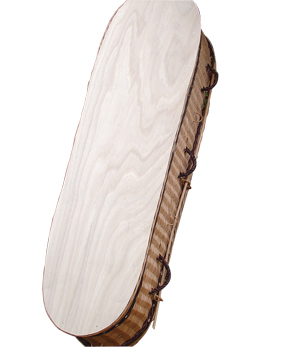 Plyboard base suitable for Brown Willow - Type 1, White Willow - Type 1, Seagrass and Bamboo coffins. These bases will facilitate the cremation process.